Since 9/11 more than 140 governments have passed counterterrorism legislation, often in response to US pressure, UN Security Council resolutions and the counterterrorism guidelines developed by the Financial Action Task Force (FATF), an intergovernmental policy making body established in 1989 by the G7, and hosted by the OECD, to combat global money laundering and terrorist financing. FATF’s Recommendation 8 singles out the NGO sector as being particularly vulnerable to abuse for financing terrorism and recommends that national governments take steps to prevent this. Governments have used this standard extensively to close the space for cross-border funding of civil society groups through the introduction of restrictive legislation. More recent examples are the 2010 Foreign Contribution Regulation Act in India and the 2009 NGO Policy in Sierra Leone. These recommendations have also affected the ability of humanitarian, peace building and development groups to receive resources in conflict zones, to devastating effect. 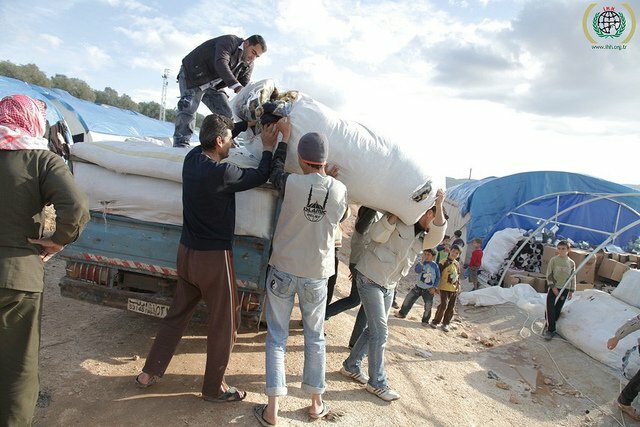 Last month, a Thomson Reuters investigation reported that 21 international and local NGOs (including a consortium of 90 Syrian NGOs) found that policies enacted to counter terrorist financing were forcing aid agencies in Syria to avoid communities controlled by extremist groups, making it harder to deliver vital supplies and leaving people vulnerable to radicalization. FATF standards also provide governments with the ability to rhetorically link civil society, terrorism and organized crime, a narrative that delegitimizes and isolates groups already operating on the margins of society because of their work on contested human rights issues. The Humanitarian Relief Foundation distributes food in Syria. Counter-terrorism regulations on funding have made it difficult for aid agencies to to reach communities most vulnerable to extremist groups. Ironically, FATF was practically unknown to civil society until a core group of counterterrorism and philanthropy experts initiated contact with FATF’s secretariat in 2012. Over the last four years, the Civil Society Platform on the FATF has mobilized support from 123 organizations in 46 countries, representing a diverse range of non-profits, including service organizations, peace builders, donors, and human rights and transparency groups. As a result of this engagement, FATF has revised its guidance to remind governments that civil society organizations are not all vulnerable to exploitation, and that governments should assess actual risks in partnership with civil society, rather than fast-tracking restrictive one-size-fits-all laws. The Platform has also expressed concern that FATF’s standards have been used, sometimes deliberately, to stifle the very actors who are most likely to challenge extremist ideologies within communities. In the coming months, FATF will review Recommendation 8 in consultation with civil society. The challenge for activists and donors is to take advantage of this progress, and explore how these welcome developments can be used to reopen the regulatory environment at the domestic level. For example, how could these successes be used to build national-level coalitions to challenge proposed legislation in countries such as Pakistan, Morocco, Kenya, and Nigeria, where governments are using the security agenda to justify proposals for restrictive NGOs laws? Recently published research shows that from 1993 to 2012, 39 of the world’s 153 low- and middle-income countries introduced laws restricting foreign funding to domestic civil society, often in the aftermath of hotly contested national elections. In a context where foreign-aid flows from donor countries amount to an average of 10% of the GDP of aid-receiving countries, governments in aid-receiving countries see their inability to control foreign-aid flows as a threat to their political control. This trend has manifested itself in a number of ways. Governments are actively pitting NGOs, development groups and human rights actors against each other.At the international level, the intergovernmental commitment secured in the 2011 Busan Partnership for Effective Development Co-operation—to promote an enabling environment for civil society actors as agents of change—is absent from the Sustainable Development Goals. At the national level, smear attacks characterizing development actors as corrupt and elite are on the rise, and governments are actively pitting NGOs, development groups and human rights actors against each other. This latter strategy worked most effectively in Ethiopia, where international development and humanitarian NGOs did not join forces with local human rights groups to challenge a bill targeting civil society organizations, fearful that contesting the proposed legislation would close down the space for development and humanitarian work. The 2009 Ethiopian CSO Proclamation Act, widely regarded as being the most restrictive NGO law in Africa, has decimated the local human rights community, and requires development actors to operate as implementers of government policy, begging the question of what kind of development can take place in a human rights vacuum. Opportunities for a joint civil society response to closing space, however, exist at both the international and national levels. For example, Kenyan human rights groups, when faced in 2013 with proposed NGO legislation similar to that introduced in Ethiopia, were able to ally with development actors, in particular the movement of people living with HIV/AIDS, to make a persuasive case for the role of civil society in rights-based development. In Sierra Leone, local human rights groups are building alliances with both domestic and international development NGOs to challenge proposed policy changes that would permit the government to control the activities of all NGOs. At the international level, the broadening of the Sustainable Development Goals to encompass targets around rule of law, access to justice, transparency and good governance, will mean that governments will be unable to meet these goals if they simultaneously close down the space for human rights and transparency groups. While these issues are not new, surprisingly little has been done by private donors and civic groups to make the case for civil society, or marshal the data and evidence to demonstrate that silencing active citizens does not result in greater security or prosperity, but the reverse. If experiences around the role of civic engagement in finding innovative solutions to complex development problems and preventing extremism can be used to open the space for participation, then our partners might be able to tell a different story—not about closing space but about the importance of civil society in keeping the public sphere open for everyone.